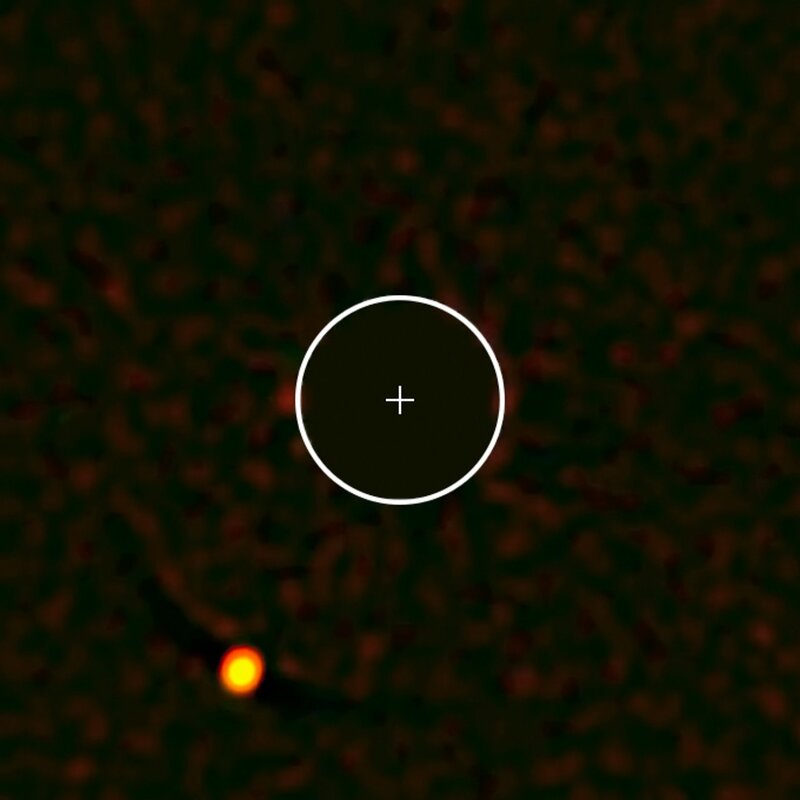 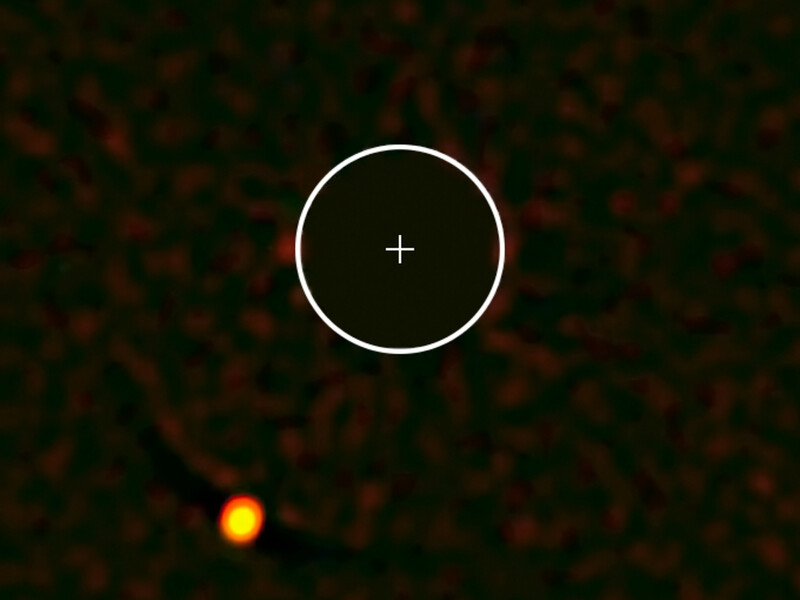 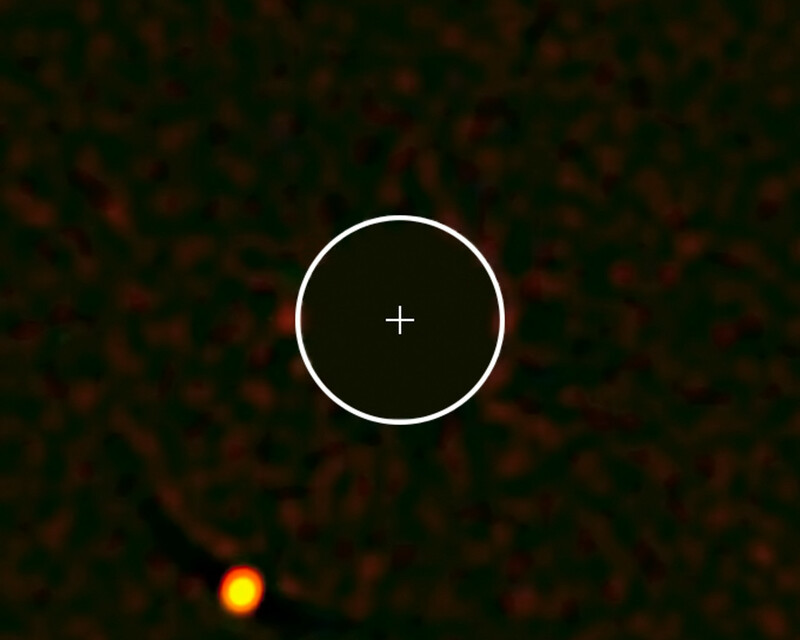 The exoplanet HIP 65426b — the first to be seen by the SPHERE instrument on ESO’s Very Large Telescope. 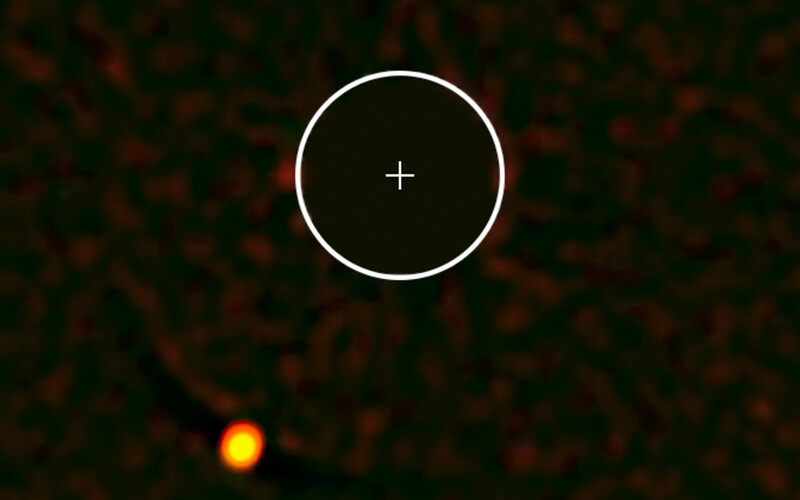 The image of the parent star has been removed from the image for clarity, and its position marked with a cross; the circle indicates the orbit of Neptune around the Sun on the same scale. The planet is clearly visible at the lower-left in this remarkable image.